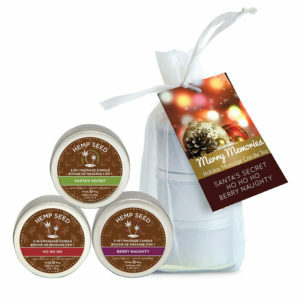 Earthly Body 3-in-1 Suntouched Candle in Fresh Snow is a limited time Holiday Fragrance! 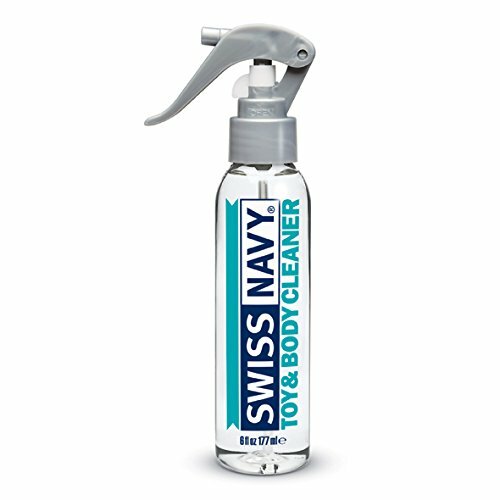 Fresh Snow smells like: Lemon, Apple, Winter Amaryllis, and Sandalwood. 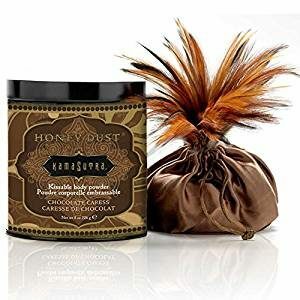 Earthly Body 3 in 1 massage candles melt down into a massage oil with a unique blend of six natural oils providing a professional slip that moisturizes skin, leaving it appear more healthy and hydrated with a youthful looking glow. Experience this “liquid gold” by pouring it directly onto the body for a warm massage, or in place of your daily moisturizer! 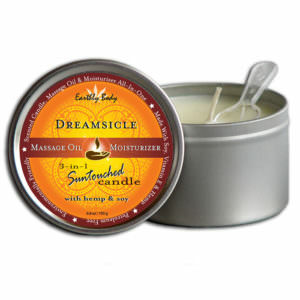 Specially formulated to melt at just three degrees above body temperature, 3 in 1 massage candles don’t just provide romantic light and fragrance – the melted wax can also be used as a moisturizer or warm massage oil. 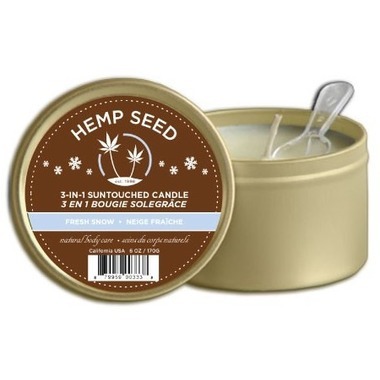 Hemp seed oil, the primary ingredient in these candles, has a fantastic slip factor for massage and, because it penetrates to the lipid layer of the cells, skin is left soft and moisturized, not greasy or goopy.